"We have a whole bunch of outboard gear including the Sequential Circuits Pro One that made that dark sound in the Madonna remix..."
"The Pro One is something that P bought before we started the album 'Business Casual.' This is the bass sound on 'Don't Turn the Lights On' and on 'Hot Mess' as well. What's cool about this is that contrary to the Prodigy, this is MIDI so we can program. What P actually did for 'Hot Mess' was he programmed a line in MIDI and then did the glide manually and then re-recorded it with the glide in it... I actually found it hard to deal with the filter because the synth has a phase. The oscillators are not really in sync. When oscillators get too in phase you lose some of the width of the sound and the depth. When they're out and not apart they sound off key and not in tune. So what we did is that we let it run for the length of the song and we chose the parts where we found them aligned and it sounded great. You could sync it but you lose all the clarity, it's horrible - I hate that. You need the right balance of cheating and the human element of these synths, which is a little imperfect but you want to cheat it to contain it and make it sound more modern. Also, for the aficionados, this is totally not a typical Pro One case. They're black usually. This is custom built with parts from a Prophet 5. So it's like a mini Prophet 5, kind of. It's still the Pro One just with a different casing." "The Pro One I use a lot and I was a big early Sequential Circuits fan." 02:41 into this Vimeo video, we see Carl Craig behind, amongst other machines, the Pro One on the right-hand side of the shot. The Sequential Circuits and Pro One logos are distinctly visible. At 0:27 Mathew Jonson's Sequential Circuits Pro One Synthesizer is visible in his 2014 studio tour with Fact Magazine. "I don't like the Prophet Five... I like the Pro One though. I've also got a Casio 202... "
At 6:10 in the video cEvin tells the interviewer that the second synth he ever bought was a Sequential Circuits Pro-One. He also tells him how much it was used by Skinny Puppy: "Skinny Puppy...Probably every song we ever made is using a Pro-One". In this video at 2:03, Para One of [L'Atelier](http://equipboard.com/band/l-atelier) and [TTC](http://equipboard.com/band/ttc) shows his studio, including a Sequential Circuits Pro One, for the process of making his second album 'Passion'. 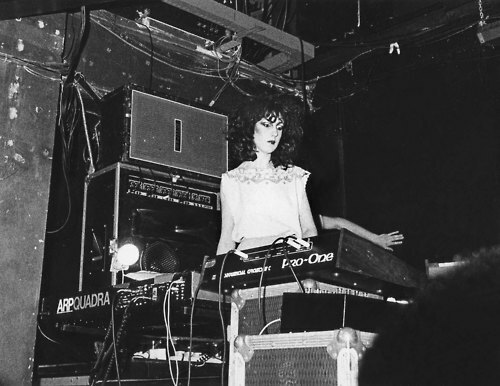 There is a photo on [this site](https://royalnonesuch.wordpress.com/2010/12/16/gillian-gilbert/) that shows Gilbert with a Sequential Circuits Pro One. Do you have a favorite synth? "The Pro-One [i.e., the Sequential Circuits Pro-One analog synth, used on Yaz hits like “Don’t Go” and “Only You”]. I’ve had it for so long. I like the envelopes on it, and it has really interesting modulation. It was easier to zero in on earlier in my career since there weren’t that many synths around, but now there are quite a few." At 1:01 Kevin Parker of [Tame Impala ](http://equipboard.com/band/tame-impala), can be seen using the Sequential Circuits Pro One. "The Pro-One is one of those instruments, they're like a woman. You can't understand them, there's like 1,000 knobs, and it cries every time you touch it," she said as the temperamental Pro-One faltered on a song." "I'm proud to be a girl! And I'm proud to play an instrument that behaves like an [effing] woman every show!" - Emily Haines Then after ordering the audience to tell the Pro-One they loved it, in unison, Metric launched into "Poster of a Girl." He says, I got to see Metroplex Studio in 1990 and pretty much all Juan’s music was based on the Pro-One. Those classic arpeggiated synth lines on all the Model 500 stuff are all Pro-One. The Pro One can be seen during Alessandro Cortini's "synth cave" tour. The item can be seen 10:59 into this video. During Legowelt's Studio Tour for Future Music Magazine, at 0:16 Legowelt says, "This here is a Sequential Circuits Pro One, it's a pretty well known synthesizer. I got it in the 90's... I think 1994. I traded it for an [Akai VX90](http://equipboard.com/items/akai-vx90) synthesizer module, with a Spanish flamenco guitarist." In this photo, the Sequential Circuits Pro One synth is visible in the middle of the synth mountain. At 12:44 we can see Jody playing the Pro One. At 1:49 in the video for "Kayleigh" the back of a Pro One can be seen in the foreground in front of Mark. This is mentioned in the gear list on the Ozrics website. Go to 'Band Info' and click Ed's name. "It's responsible for a lot of a lot of the Virus bass sounds that you hear." Howard jones Westword interview (October 12 2011) " I actually had two of those and a Juno 6 and an 808 drum machine. Then a Pro One"
DMX shows his Pro-One at 0:48 in this video. > This is the Sequential Pro-One which is the... just got dirty pops. "Back then I was also using a Sequential Pro-One keyboard, a Roland RS-09 string synth, an ARP Odyssey and an ARP Axxe. And I had a Boss DR-55 and then an 808, obviously, when they first came out." "On one track I used the arpeggiator on the Juno 6, but I play most of the keyboard parts manually. The Juno is the next stage up from the Pro One I used on *Journeys* — you have to work with them all the time because they don't have memories, so they're very creative. I'm trying to progress all the time with instruments to find a perfect one, and I don't think it's good policy to keep an instrument for too long. I look around every six months or so, but the DX7 has been kept for longest so far — it was one of the first ones in the country". "The Pro One is very good for basses, or for doubling up other basses to give them more power. If I have a digital bass which has a nice colour but hasn't really got a good bottom end, I add with analogue synthesisers the real low bass, which is very easy to do. It's a question of a few minutes to have the right, real bottom end of analogue synths. But in the Fairlight also I can create a very low bass by writing with the overtones." From 1:25-1:59, Tom is playing a Sequential Circuits Pro One. Manufactured: 1981-1985 Type: Monophonic Analogue synthesizer Gear info: As you can see it comes from the same period and genre as the Roland SH-101 and Moog Prodigy. A very fat sounding synth with arpeggiator and a simple sequencer. It has a good modulation section, some say it's the best thing about the synth. It is remarkably stable in tune once it has warmed up after about 15 minutes. Shouldn't be a problem finding a Pro-One, it's one of the most common monosynths. Used: Liam has used this one in live sets. If you have got the Electronic Punks video you can spot this one easily. "Usually we just use the Yamaha TX816 rack for basic writing, but I think if you did a whole track with DX sounds it would be a bit thin. So we MIDI it up to a MemoryMoog, a PPG, our producer's Emulator II, in fact, whatever's lying around, depending on the sound we're after. We MIDI together as much as we can really, and we can also tie in our analogue synths, a Sequential Pro One, an OSCar and a MiniMoog." Roger says in this interview that he has played a Sequential Circuits Pro One synthesizer. Tara just racked up her synths, Pro One on second tier to the left. "We're using a lot of Pro 1 on that track. You can hear, it's got a much more dirty filter bite to it." Crappy keys suffering from double or triple triggering but soundwise it could be the only machine you ever need because it delivers any basic sound in outstanding quality. Fast envelopes, a strong filter which opens up to the highest highs and resonates over the entire audio spectrum, very flexible modulations, sync, fm (with a character similar to my ARP2600) and lots of other goodies. Vince Clarke was right to choose it as one of his favorite machines. does a 303, does a deep sub, does electro arps/seqeuncing, does moogy, does arpy, does the monopoly chord memory sub octave sound, plus its great at thunder and zaps. pretty solid tuning, lots of cv/gate in and outs with trigger. fairly robust and not finicky. a solid synth, i guess thats why theyre now $1500-2000 cdn/us. in case you didn't know, millenials...we (gen-x) old timers used to pay 350-600 for these back in the ancient olden days of 1993.
this is my favourite synth in my collection, it produces some wicked bass sounds and is a right staple within my collection. I wish I had the the pro 5, but I couldn't afford it last time I saw one on ebay. I have the pro 5 VST which is pretty cool, but the sound is very much different from the synthesizer in the flesh! . This is a marvellous synthesizer. Probably the best monosynth ever made after the Minimoog. It can handle pretty much anything, from smooth moogy leads to filthy bass and extreme effects. Everything you dial in sounds good, and the sequencer and arp are simple but inspiring. If you need a monosynth and can't afford a Minimoog, this is the one to get. At the studio we use it mostly as a bass synth but also for arpeggios.